There's a new update for Google Photos rolling out, but on the surface, it doesn't look like any notable changes have been made. However, we aren't just interested in the things that have gone live, but also improvements we can look forward to in the future. 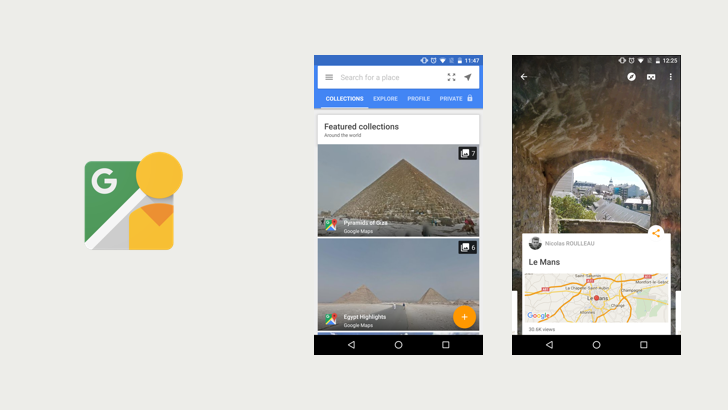 The latest version of Google Photos hints at printing capabilities for albums and a search suggestion for 360 photos. Some new information is also available for a previously teased interface that promised to be a faster way to share photos with friends. Of course, keep an eye out for anything we may not have seen. Update Wednesday has been and gone, but we'll let it pass, as an app that doesn't get all that much attention has been updated! v2.12 of Google Street View is rolling out now, with some new Photo Sphere features and other improvements. Photo Spheres are now automatically grouped, and connections can be created between them. Your own photo spheres can be multiple selected by long tapping, which is helpful, and the app works in landscape now. Curiously, Google has also added support for KitKat, but when you look at the latest distribution numbers and see that almost a third of Android users still use 4.4, it starts to make more sense.